"Makin' do, or doin' without" has been my motto here for the past few years. So, when I ran out of laundry soap a while back, I had to figure out how to make my own, or do without! Tho I posted about this subject a few years ago, I figured it was time to blog about it again since many of you didn't know me then. Bring 1 gal. of water to a simmer, and add the grated soap. Stir until soap has dissolved and water is near boiling. Stir occasionally on med. heat for 10 minutes. Add 2 gallons of HOT tap water. Use anywhere from 1/4 to 1/2 cup per large load of laundry. The Zote makes a pretty soft pink soap! This works out to be less than .80 cents a gallon! 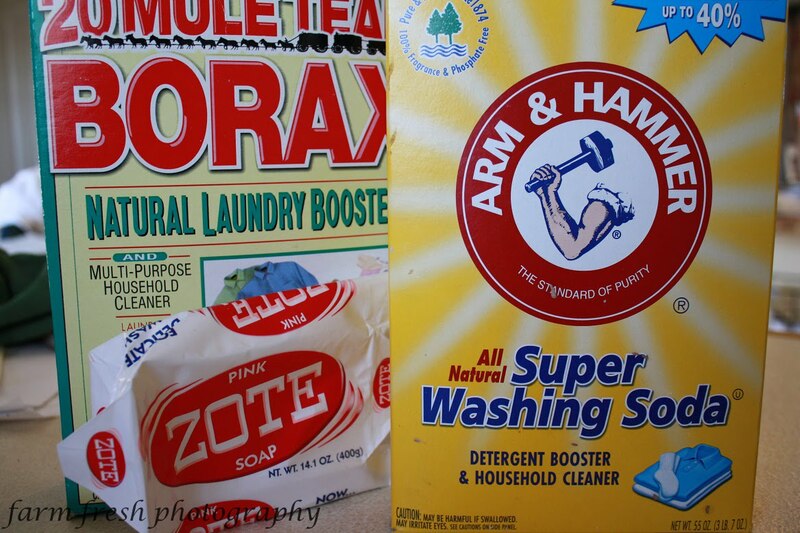 The only way you can get laundry soap any cheaper is if someone gives you a bottle! Now...I am off to line dry that load of towels I just washed! Ok, I'v really been wanting to try this. I'm chicken though, will it really get our laundry clean? I'd love to save money in this area. I do laundry for 5 and my washer seems to run every day. I have asked my hubby to put up a clothes line so I can hang our clothes when the weather will let me. I would love to have one of those wooden fold up ones for indoors. I'd love to be able to save money on our power bill, Its huge! We are in the housing construction business and we haven't had much work for 6 months. I am trying to learn to live fugally and we have been working on getting out of debt for several years. We have made great progress however we have a large mortgage. Can't do much about that so Im trying to do all I can in every other area. This really does work. My girlfriends and I have been using this recipe for a year. 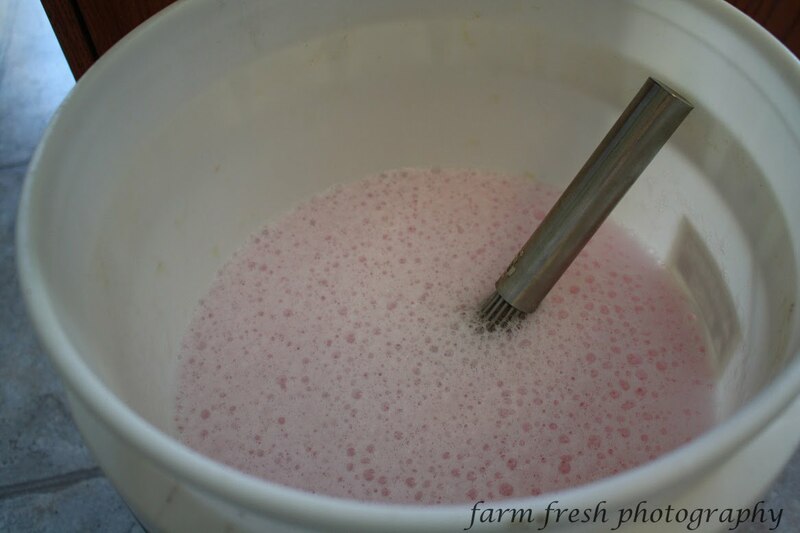 The borax and washing soda are very effective at emulsifying the oil and dirt. It won't suds up like the expensive stuff because it doesn't have the harmfull additives the conventional stuff has. This recipe is actually better for the environment too! One of my friends has two sons and she said it works great:) Also, I have heard you can use it for front end washers. Good Luck! I have used the same ingredients except dry instead of making a liquid. You only use 1 tablespoon per load. I could not believe how well it works especially since my husband is known at work as "pig pin" from Charlie Brown as dirt usually follows him! or he is the first to jump in the hole and start digging! So far, no problems either with any pipes or septic, and from what I have read that should not happen. Thanks for the great post! Your blog bakcground is real cute by the way, and shouts S.P.R.I.N.G.! Fun! I do this dry like someone else mentioned. Works great. I use Ivory bar soap instead of the pink. We love the clean smell. I even used it on cloth diapers and it was better than anything in the store. Maybe I should try the liquid next time. Have been making my own laundry detergent for a while now, and so long as the clothes aren't filthy it works fine...it certainly saves money. I try to use all homemade cleaners etc. I only yesterday ran out of wool mix so made up my own using soap flakes and eucalyptus oil. It smelt divine and worked well! I really need to get on this bandwagon; I hate, hate, hate that blue Tide liquid and have ruined so many clothes with that blue dye. Now I just shave off a bit of lye soap into my laundry but this looks a lot easier, once it's made. This looks like a great idea and I would love to try it, do you happen to know how it works in hard water?